Now, a beautiful stadium, Sloan Park, that opened in 2014, hosts the Cubs while the Oakland A's play at refurbished Hohokam Park. 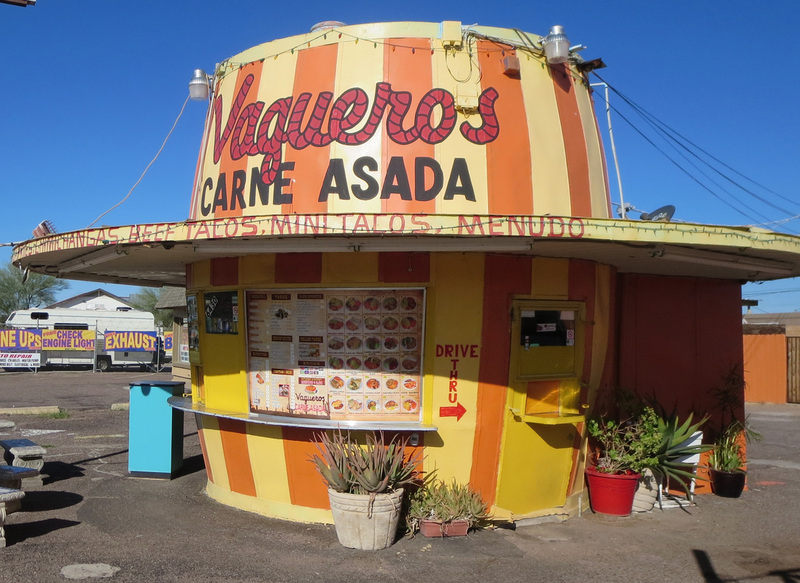 Nearby is the Vaqueros drive-in, one of many barrel-shaped A&W Root Beer stands built across America in the 1950s and 60s. 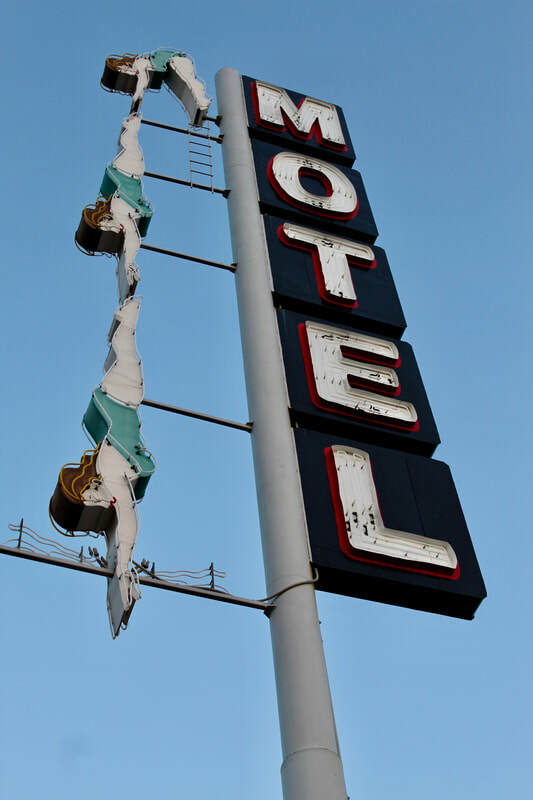 The Mesa Preservation Foundation spent more than $120,000 restoring the Starlite Motel's Diving Lady sign on East Main Street at Lindsay . Sign maker Paul Millet created the sign in 1960, two years after the Starlite opened, and it stood for 50 years before a storm blew it over. Larry Graham, an apprentice of Millet, refurbished the 70-foot neon sign in 2013. 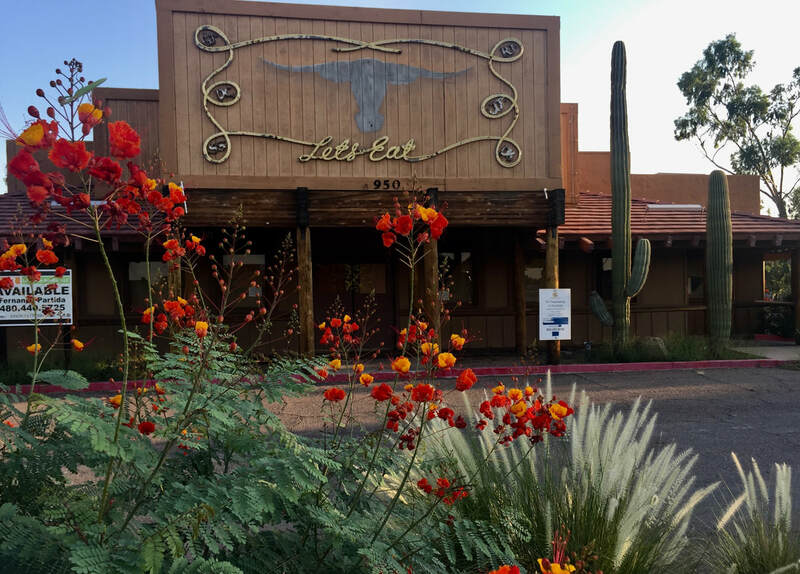 Other neon signs and architectural relics of midcentury Arizona are spread along East Main Street, which is undergoing a major construction project to extend light rail from Mesa Drive to Gilbert Road. It is scheduled for completion by the end of 2019. Tastes change. Carne asada is in while A&W Root Beer is out. 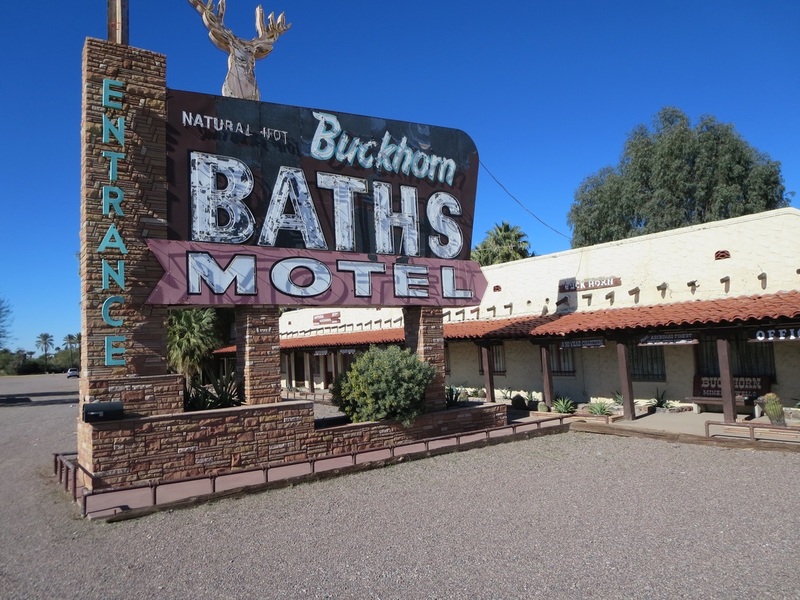 Buckhorn Baths was a hit with spring training ballplayers as a soothing spot to soak their sore muscles in mineral baths from a 112-degree hot spring. Sloan Park hosts the Chicago Cubs and Oakland A's play at Hohokam Park. A sign painter works on a mural at Sloan Park before a recent season. Bill Johnson's Big Apple restaurant chain started in 1956 and it went under in 2015. This Mesa store was on East Main Street. The Ham Bone bar is a fixture on Main Street. 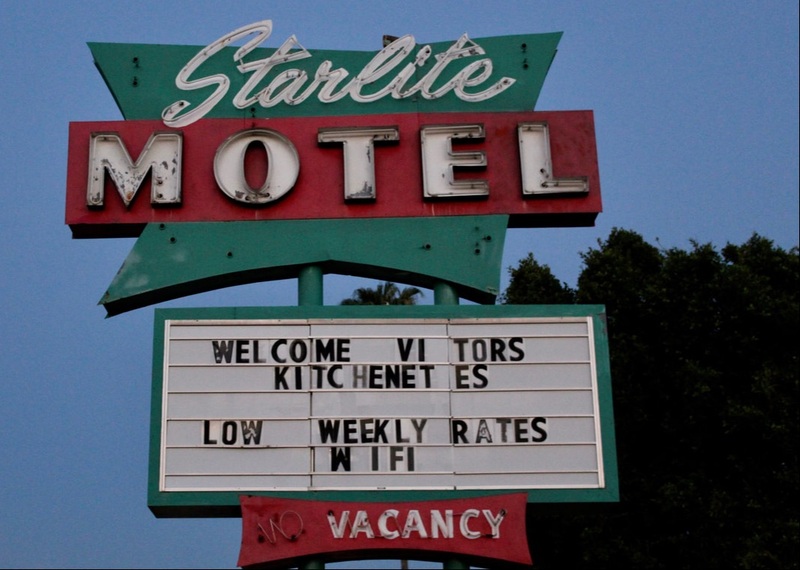 Starlite Motel opened in 1958. It added the Diving Lady neon sign two years later to lure travelers. The sign was restored in 2013.